I currently finished reading a book written by Dale Carnegie entitled “How to Win Friends and Influence People.” As a teacher, leader, and team-builder, the book has been helpful to me in so many ways in the field of human relations. In the book, Carnegie has presented fundamental techniques in handling people. I may not have applied all of them always, but when I did, they are proven accurate and impeccable. 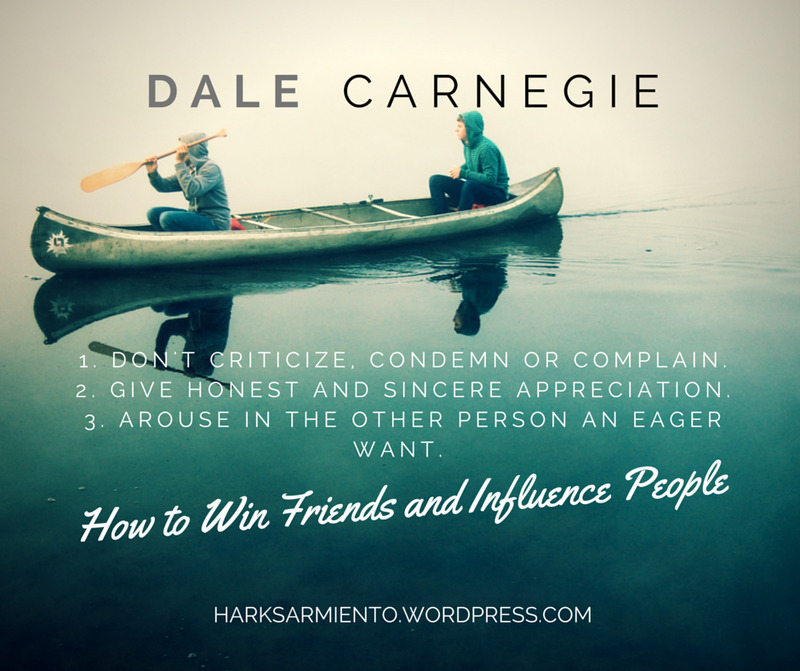 So I took the opportunity to write the gist of D. Carnegie’s principles. Folks, “it is our ability to deal with people (Schwab)” that makes us successful. Quoting Charles Schwab and many other prominent personalities, Dale Carnegie reiterates the importance of “putting genuine interest” as well as being “hearty in approbation and lavish in praise” toward others. May we all learn from this book and win more friends and influence multitudes of people each day.